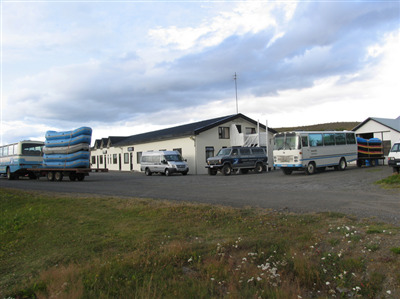 We offer a variety of travel services in Skagafjördur, Iceland. The travel service at Bakkaflöt began in 1988 and has been developing over the last years. We are open all year around. Browse our picture gallery and feel the rush. 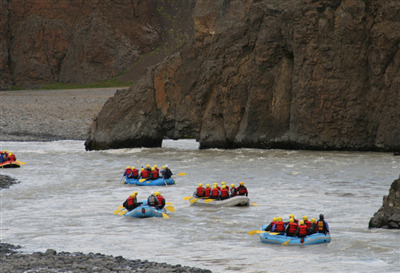 Rafting in East and West rivers offers an unforgettable experience. The two rivers are fed from the glacier Hofsjökull. From Bakkaflöt you can book trips, get information and obtain suitable clothing (cost included). From here you start your trip. We will drive you to and from the river. 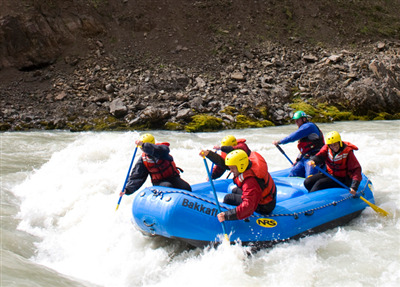 The trip in the easter river lasts 6-7 hours. Passengers on this trip must be at least 18 years old. The trip in the western river lasts 3 hours. Passengers must be at least 12 years old. Relax in our hot tubs afterwards.